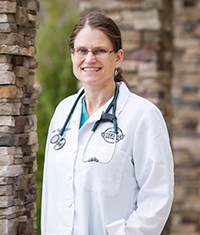 Dr. Melinda Payson grew up in Germantown, NY and completed her undergraduate degree in biology at Cornell University. 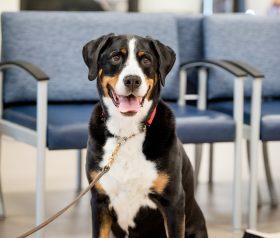 After graduation she worked toward a PhD in neuropharmacology before changing fields to veterinary medicine and earning her DVM at The Ohio State University in 1995. 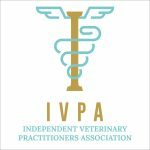 She has worked in Western Massachusetts as the chief medical officer of Allen Heights Veterinary Hospital and, until early December 2015, she worked at Pittsfield Veterinary Hospital as a general practice and emergency clinician. 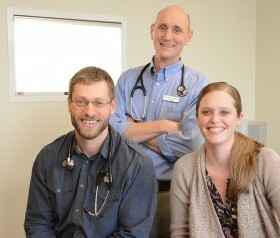 The pace and challenges of emergency medicine have brought her to the team at Upstate Veterinary Specialties. When not at work, Melinda enjoys spending time with her large family which includes 6 children, 2 dogs and 4 cats. Her hobbies include hiking, biking, watching movies and traveling throughout the US and Europe.